Decide what your minimum objective is in organizing and make sure you at least make that happen. So if your objective is to make sure that one car can fit into the garage (or one more), then make sure that you plan to clear enough space to achieve that goal. Don’t buy items that have a low probability that you will be using them. For instance that treadmill, elliptical machine, or exercise bike that you were eyeing. Those things are generally always destined to join the junk in the garage (if you can carry them out there). They are large and eventually just a pain to keep moving around in the garage. Unpack the boxes that are currently in your garage and use a very basic rule. If you haven’t used something in the last year, you don’t need it. Put it in a garage sale or donation pile (or the dumpster if it truly cannot be used by any other human). If it’s a collectible take it into the house where it belongs or simply sell it as the garage is not where collectibles belong. Don’t store large amounts of gasoline, propane, or other highly combustible materials in your garage. 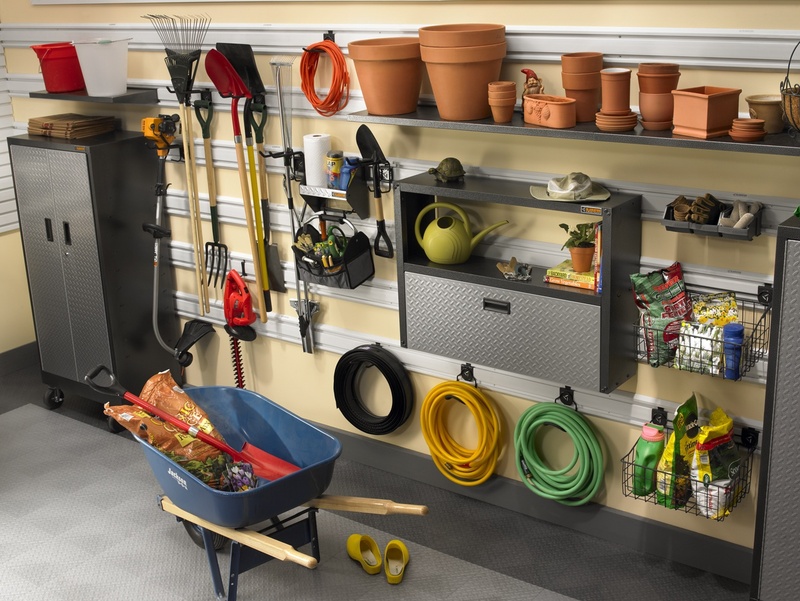 These are a known fire hazard and they also are floor or shelf space hogs Another basic rule for garage items is that if it is not SAFE, then fine a proper way to dispose of it. The ideal scenario is that you keep chemicals and flammable items to an absolute minimum. 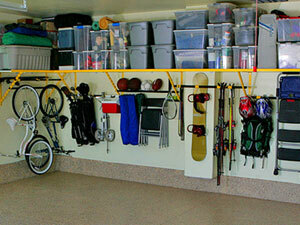 Bicycles should be hung using bicycle hooks or racks. They take up a shocking amount of floor space and generally never end up back where they started from (especially with kids). If you have a designated spot (hook) and enforce it then this will save you a lot of grief.